To follow David Sams, please log in to Houfy or create an account. Mountain Shadows is a comfortable cottage built next to a babbling brook. Imagine driving down a country lane to a cottage nestled in the woodland. The cottage is on a quiet, peaceful street conveniently located between Brevard and Hendersonville, NC. There is a large porch where you can eat meals outside, have your morning coffee, or just enjoy relaxing in the mountain air. The Hot Tub is on the covered porch also; overlooking the babbling brook. There is a nice view of the woods and longer range views during winter time. Inside the living room you'll find a custom fireplace to keep you warm and toasty in cold weather, a vaulted ceiling, and a flat screen TV with cable. The modern bathroom includes a new extra large shower. The kitchen features new cabinets with custom granite counter tops. In spring millions of wildflowers bloom in the area and in the summer the rhododendron and mountain laurel bloom. Fall has cool nights and wonderful fall color. Large flat screen smart TVs with cable in the living area and master bedroom. We have 4 other cottages; see our website if this one is booked up! The cascading stream and waterfall view make this cottage the perfect retreat. The cottage overlooks a beautiful stream cascading down the mountain over moss covered rocks, creating wonderful sounds of rushing water as it flows beside the cottage. Cable TV will make your stay enjoyable. We have very NICE accommodations, refreshingly cleanly kept and most of our guests turn into repeat guests! Many have been coming to our cottages for years or several times a year! The large covered porch has table and chairs to sit by the railings and watch the water fall....... The perfect spot for a cup of coffee! If your WISH is to FISH, the cottage is located minutes from the Davidson River, Elm Fork, Pisgah National, and DuPont State Forest. All world renowned for the fishing available. The French Broad River has canoe launch access just down the street. We are near a MAJOR scenic BIKE ROUTE. Photography, swimming, hiking,fishing,shopping, scenic drives and rides are all available minutes away. Historic Hendersonville and quaint downtown Brevard have many superb restaurants that range from family friendly casual to upscale gourmet. We are near Pisgah National Forest (Sliding rock), Dupont State Forest (Waterfalls), Gorges State park & Caesars Head State Park, SC. Whitewater falls,Cold Mountain (from movie fame),Foothills Scenic Hwy,Chimney Rock and The Blue Ridge parkway! We also have other cottages in the same neighborhood. Call for availability or check their separate calendars on our web site . COME SEE US...THINGS ARE GREAT IN NORTH CAROLINA!!!! Pets are welcome, pet fee is $15/nt per pet with a maximum of $60 per pet. We do have to send a payment request manually since the site can't calculate it on it's own. Linens, towels, TP, laundry detergent/fabric softener, dishwashing soap, hand soap, hair dryer, dishes/cutlery, basic kitchen utensils and spices. We are David and Darla Sams. Originally from Texas, we came to Brevard on vacation and fell in love with the mountains. Pets are welcome, pet fee is $15/nt per pet with a maximum of $60 per pet. 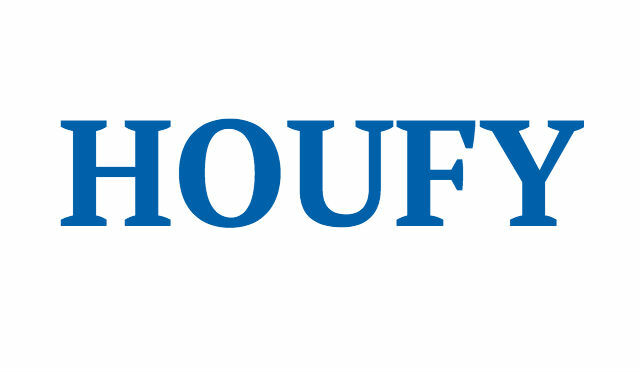 We do have to send a payment request manually if booking via Houfy since the site can't calculate it on it's own. Cancellations more than 30 days in advance will receive a refund minus a $50 cancellation fee. Cancellations less than or equal to 30 days do not receive a refund. Cancellations must be in writing or by email. Refunds will not be given for weather-related reasons (bad weather, power outages, etc. ).